Updated guidance from NICE on the diagnosis and management of Parkinson’s disease includes treatment, important areas of nursing such as palliative care and managing impulse control disorders that can develop due to dopamine therapy. Parkinson’s disease is a progressive neurological condition that affects about 127,000 people in the UK. There is no cure, but a range of treatments can help control the symptoms. As the condition progresses, worsening symptoms can make it increasingly difficult to carry out everyday activities without assistance. 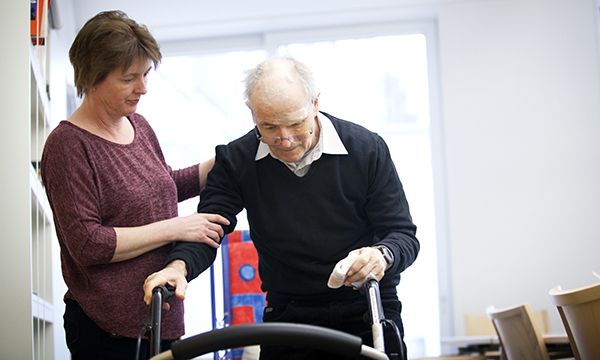 Updated guidance on the diagnosis and management of Parkinson’s disease has been published by the National Institute for Health and Care Excellence (NICE). The guidance includes the latest information in a range of areas, including first-line and ongoing treatment, information that should be provided to patients and their families, and updated palliative care advice. Patients should be considered for referral to occupational therapy, physiotherapy, speech and language therapy and dietetics. The guidance draws on emerging evidence about conditions such as impulse control disorders, which can develop in patients on dopaminergic therapy. It is aimed at healthcare professionals, commissioners and providers, and adults with Parkinson's disease and their families and carers. The most common symptoms of Parkinson’s disease are tremor, rigidity, loss of balance and slowness of movement. Depression, anxiety, sleep problems and loss of the sense of smell are also frequently associated with the condition. People with the condition have a deficiency of dopamine due to the loss of nerve cells that make the chemical in the substantia nigra region of the brain. Dopamine helps regulate movement. The causes are not understood, but a combination of genetic and environmental factors is believed to be involved. Most of those diagnosed are over 50. Slightly more men are affected than women. Anyone with Parkinson’s disease should be offered access to services provided by specialist nurses. It is crucial that people with Parkinson’s disease admitted to hospital or a care home receive their medication on time. Patients are often on complex regimens, and missing or delaying regular medication can have a significant effect. ‘Parkinson’s disease and the importance of receiving medication on time is not always well understood by nurses, despite the increasing number of people affected. ‘The updated guidance from NICE covers some important nursing areas, including palliative care, which can be neglected. It is a degenerative condition and people should be given the opportunity to discuss end of life care decisions. ‘The guidance says they can be referred to a palliative care team at any stage of their disease to discuss options and concerns. There is also new information on managing and monitoring impulse control disorders such as gambling, hypersexuality, binge eating and obsessional shopping, which can develop in those on dopaminergic therapy. Parkinson’s UK: What Causes Parkinson’s?